Our reflections on the nature of being human teaches three critical lessons. One, the right to life, liberty and the pursuit of happiness is for humans as humans. That's why they're called human rights, not person rights. Two, equality has nothing to do with some physical trait that all humans share. No one is less deserving of respect or value because she has decreased capacities or has missing, altered, or underdeveloped body parts. All humans beings have something by virtue of their humanity that gives them equal and unalienable rights, but this valuable thing is not physical. What is it? It is their non-physical self. Most people call this personhood, others have called it a soul. Whatever you call it, it's what really matters. Being human with unalienable rights is bound up together with being a person. One can't be separated from the other. All human beings, at any stage of existence, are valuable persons. Koukl, Greg. Precious Unborn Human Persons. Pages 31-32. Science has taken us to the moon, allowed us to see DNA, and show us that people who are assuredly dead do not return to life by natural causes. Since the apostle Paul wrote that Christianity is a false religion if Jesus was not resurrected (1 Co 15:17), has science disproved Christianity? Is there any good evidence that Jesus' resurrection actually occurred? Despite the hesitation of skeptics concerning the four Gospels, nearly all Bible scholars are confident that there are at least three sure facts concerning what happened to Jesus. 1. Jesus was crucified on the orders of the Roman governor and died as a result. 2. Jesus' disciples honestly believed that He rose from the dead and appeared to them beginning on Sunday morning. 3. A sworn enemy of the Christians named Saul (later called Paul) had an experience that he believed was an appearance of the risen Jesus, prompting him to become a Christian. This would be similar to Jesus appearing to a Muslim who then leaves Islam and becomes the next Billy Graham! Saul become the opposite of what he'd been because of the risen Jesus (see Ac 9). Unbelieving scholars form theories that attempt to explain away the above facts. Some used to claim that Jesus' disciples lied about the resurrection appearances or that the reports of Jesus' resurrection were legends that developed over time. But once the second fact above was admitted, that Jesus' original disciples sincerely believed He had risen and appeared to them shortly after His death, the legend and fraud theories fell apart. Today they have been largely abandoned. Now the theory most commonly held by non-Christian scholars is that the appearances of the risen Jesus were hallucinations resulting from the disciples grief over Jesus' death. But this theory does not explain the third fact (Saul's conversion experience) since, rather than grieving over Jesus' death, he hated Jesus so much that he arrested and killed Christians. And while a hallucination could conceivably explain an appearance of Jesus to an individual like Peter (Lk 24:34; 1 Co 15:5), it does not explain the appearances to Jesus to groups, such as the Twelve, more than 500 at one time, and to all of the apostles when they were together (1 Co 15:5-7). Why not? Hallucinations are like dreams. Just as a friend cannot actually join you in one of your dreams, friends cannot join others in their hallucinations. In contrast to the theories of skeptics, Jesus' genuine resurrection from death explains how Jesus' devastated disciples and, later on, one of the his best-know enemies, came to devote their lives to proclaiming that Jesus had risen from the dead. By far, this is the best explanation of the three commonly accepted facts listed above. So, while science has proved that the dead do not return to life by natural causes, historical investigation suggests that Jesus rose supernaturally three days after His execution. Since there are many religions competing for your devotion, Jesus' resurrection verifies that His promises are words upon which you can bet your life and soul. For more of Mike Licona's work, see here. 1. Lenny Esposito, "You Can No Longer Separate Apologetics and Evangelism," August 15, 2015. This conversation took place at William Jessup University. This is Pt. 3 of our posts working through this work by Pastor Wayne Grudem. The purpose of the series is to explore the relationship between God, the Government and the Gospel. According to this third view, all use of government power is deeply infected by evil, demonic forces. The realm of government power is the realm of Satan and his forces, and therefore all governmental use of “power over” someone is worldly and not the way of life that Jesus taught. "And the devil took him up and showed him all the kingdoms of the world in a moment of time, and said to him, “To you I will give all this authority and their glory, for it has been delivered to me, and I give it to whom I will. If you, then, will worship me, it will all be yours” (Luke 4:5–7). Boyd goes on to say, “Functionally, Satan is the acting CEO of all earthly governments” (p. 22). This is indeed a thoroughgoing claim! When he lies, he speaks out of his own character, for he is a liar and the father of lies (John 8:44). Jesus didn’t need to respond to every false word Satan said, for his purpose was to resist the temptation itself, and this he did with the decisive words, “It is written, ‘You shall worship the Lord your God, and him only shall you serve’” (Luke 4:8). And so we have a choice: Do we believe Satan’s words that he has the authority of all earthly kingdoms, or do we believe Jesus’ words that Satan is a liar and the father of lies? The answer is easy: Satan wanted Jesus to believe a lie, just as he wanted Eve to believe a lie (Gen. 3:4), and he wants us to believe a lie as well, that he is the ruler of earthly governments. The Most High rules the kingdom of men and gives it to whom he will and sets over it the lowliest of men (Dan. 4:17). Let every person be subject to the governing authorities. For there is no authority except from God, and those that exist have been instituted by God. . . . For rulers are not a terror to good conduct, but to bad. Would you have no fear of the one who is in authority? Then do what is good, and you will receive his approval, for he is God’s servant for your good . . . the authorities are the ministers of God (Rom. 13:1-6). Peter sees civil government as doing the opposite of what Satan does: civil governments are established by God “to punish those who do evil,” but Satan encourages those who do evil! Civil governments are established by God “to praise those who do good” (1 Pet. 2:14), but Satan discourages and attacks those who do good. 2. 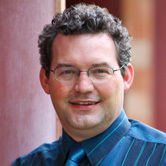 For example, echoes of Boyd’s writing can be seen at various places in Shane Claiborne and Chris Haw, Jesus for President (Grand Rapids: Zondervan, 2008). Will the Church Rise Up and Usher in Abortion's Demise? These undercover Planned Parenthood videos provide a phenomenal opportunity for the Church to help accelerate our mission of making abortion unthinkable and unavailable in America. Let’s not let it go to waste. What is someone really saying when they claim to be "pro-choice" and how should we respond? In this featured article, Randy Alcorn explains how to cut through the rhetoric of the pro-choice crowd and get to the main issue. "The term pro-choice obscures the subject we are talk­ing about, because it demands the explanation, “pro-choice about what?” If our attention is on the “right to choose,” we can be dis­tracted from the subject at hand." Natasha Crain's work is some of the most important in apologetics today and if you are not familiar with her work, you need to be. I am not aware of another individual writing better content on apologetics and parenting than Mrs. Crain. Crain writes a popular Christian parenting blog at ChristianMomThoughts.com. She has an MBA from UCLA and has completed the Certificate Program in Christian Apologetics at Biola University. She and her husband, Bryan, have three children. Are your children being exposed to negative criticism of Christianity as they spend time at school, with friends, or online? The time you spend helping your children in this way is one of the greatest investments you can make! It will draw you closer together and benefit them for the rest of their lives. Further, if that isn't enough, J. Warner Wallace, whom I consider to be another of today's most important apologists, has written the foreword! I also encourage readers to check out Mrs. Crain's excellent website here. 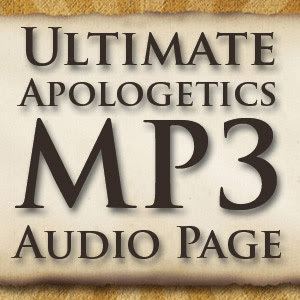 Are you looking for some great apologetics audio? 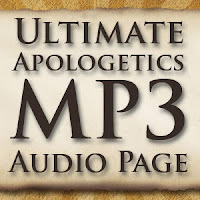 Apologetics 315 offers a massive list of audio on their "Ultimate Apologetics MP3 Audio Page" found here. You'll find audio from thinkers such as William Lane Craig, J.P. Moreland, Daniel Wallace, Greg Koukl, Kenneth Samples, John Frame, Gary Habermas, Ravi Zacharias and many, many more and it is all free! There are also hundreds of topics to pick from! I encourage you to check it out here today! 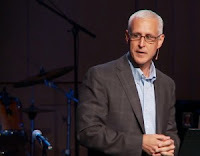 J. Warner Wallace is a cold-case homicide detective, popular national speaker, and author of Cold-Case Christianity (our review is here). He's been featured repeatedly on Dateline, Fox News, and Court TV and is a member of a three-generation law enforcement family. J. Warner and his wife have four children and live in Southern California. It was with great anticipation that I began reading J. Warner's Wallace's latest offering God's Crime Scene: A Cold-Case Detective Examines the Evidence for a Divinely Created Universe. It is my conviction that Wallace is one of the most practical, intelligent and passionate apologists writing today. His work is easy to grasp, intellectually challenging and spiritually rewarding. Further, Wallace always makes his points in a way that make them applicable to real-life conversation. His latest effort is no exception. As a former atheist and a cold-case homicide detective who became a Christian largely because of the abundance of evidence he encountered, the manner in which the author examines the evidence is utterly unique because he does so through the eyes of a homicide detective. 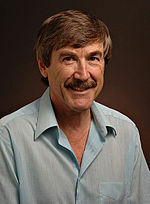 The same objective, evidence-based approach Wallace uses in his cases, he also employs in examining the case for the existence of God. The result is a case for the existence of God that is systematic, thorough, and compelling. One of the objections I hear from fellow followers of Christ regarding Christian Case Making is that it is to hard to understand. Many don't think of themselves as intellectuals and therefore don't believe they can learn to defend their Christian convictions and sometimes the task can seem daunting. However, those who may have struggled in the past to understand the arguments for the existence of God may find a friend in J. Warner Wallace. Wallace's use of clear illustrations and diagrams make his case easy to follow and understand. Further, his use of cases from his past investigations make this work read less like an apologetics book and more like a crime novel. At the conclusion of one chapter I found myself immediately ready to start the next so that I could learn about another investigation! It is passages such as this that make Wallace's work a joy to read through and equip the reader with great responses to common objections. I also want to note that the author's chapter on consciousness is the best treatment of the subject I have read to date. As a teacher, I am continually impressed by Wallace's ability to explain complex concepts in a manner that is easy to grasp. When you are reading this work one can clearly perceive that the author not only understands the arguments, but has made them his own. Further, his conclusions are presented honestly and humbly. While reading this book you are not only learning about the case for a Divine Creator, but how to think through arguments and how to shift through evidence in a logical and fair-minded manner. I am convinced that anyone would benefit from reading this book, regardless of their familiarity with the arguments dealt with therein. 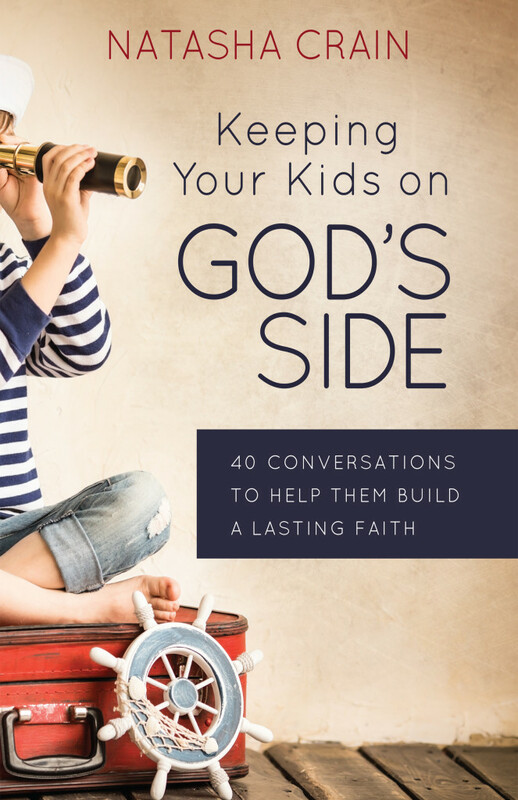 For the believer, Wallace's book is a treasure chest of arguments and illustrations that will not only equip you to share your faith more clearly and effectively, but will also serve to affirm your conviction that God exists. I cannot recommend God's Crime Scene highly enough and it is a most worthy follow-up to Cold-Case Christianity. This is Pt. 2 of our posts working through this work by Pastor Wayne Grudem. The purpose of the series is to explore the relationship between God, the Government and the Gospel. You can find Pt. 1 here. The opposite error from the “compel religion” view is “exclude religion.” This is the view that says we should completely exclude religion from government and politics. According to this view, religious beliefs should never be mentioned in governmental functions or on government property and should never play a role in decision-making processes in politics or government. This is the view promoted today by the American Civil Liberties Union (ACLU). According to it, religious belief should be kept at home and quiet. There should be no influence from religious groups in the political process. Examples of this view are seen when people object to prayers being given at the beginning of a city council meeting, or when groups demand that the Ten Commandments be removed from public places. Supporters of this view seek to prohibit religious expression in high schools, student-led Bible studies, prayers before sporting events, or even a valedictorian talking about his or her faith at graduation. The “exclude religion” stance is wrong from a Constitutional viewpoint, because it twists the positive ideal of “freedom of religion” to mean “freedom from all religious influence”— which is entirely different and something the signers of the Declaration of Independence and the framers of the U.S. Constitution never intended. We hold these truths to be self-evident, that all men are created equal, that they are endowed by their Creator with certain unalienable Rights, that among these are Life, Liberty, and the pursuit of Happiness. That to secure these rights, Governments are instituted among Men.…"
In other words, the fifty-six signers of the Declaration of Independence proclaimed that both the laws of nature and of God gave our country the right to become an independent nation. They claimed divine authorization for the very existence of the United States of America! Furthermore, the signers said that the purpose of government is to protect the rights that are given to people by God (“endowed by their Creator”). This is hardly “excluding religion” from government or important government publications. The First Amendment to the Constitution likewise declared: “Congress shall make no law respecting an establishment of religion, or prohibiting the free exercise thereof; or abridging the freedom of speech.” What they meant by “an establishment of religion” was an established state church, a government-sponsored or government-endorsed denomination or specific religion. 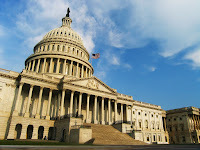 But they did not intend this amendment to exclude all religious speech and activity from government building and activities, for our nation’s early political leaders continued praying publicly to God at government events, even having church services in the Capitol for many years. The phrase “separation of church and state” does not occur anywhere in the Constitution. It was first seen in a letter from Thomas Jefferson in 1802, in which he assured some Baptists in Connecticut (the Danbury Baptists) that the government would never interfere with the affairs of their church. The First Amendment was never intended to guarantee that government should be free from religion or religious influence. The only “freedom of religion” that was intended was freedom from government sponsorship of one particular religion or denomination. The First Amendment also excluded any law “prohibiting the free exercise” of religion. This is directly opposed to the “exclude religion from government” view, which actually seeks to prohibit Christians and Jews and others from exercising their religious freedom when speaking or giving a prayer at a public event. Their free exercise of religion is taken away from them. This view also wrongly restricts individual freedom of speech. Why should a high school valedictorian not be free to express her own viewpoint in her graduation speech? Speaking a religious opinion in public is not compelling people to accept that viewpoint! The “exclude religion” view was never adopted by the American people through any democratic process, but it is being imposed on our nation by the exercise of “raw judicial power” by our courts, and especially by the Supreme Court. This has been an increasing problem for the last several decades in America. The Supreme Court decision Lemon v. Kurtzman (1971) was especially significant. In that case the court said that government actions “must not have the primary effect of advancing or inhibiting religion.” It did not say “advancing or inhibiting one particular religion” but “religion” in general. (An earlier decision in 1947, Everson v. Board of Education, had said something similar.) This kind of “exclude religion” view was never adopted or approved by the American people but simply decreed by our Supreme Court, taking to itself powers it never legitimately had. The Bible says that a government official is “God’s servant for your good” (Rom. 13:4), but how can government officials effectively serve God if no one is allowed to tell them what they believe God expects of them? The Bible says that government officials are sent “to punish those who do evil and to praise those who do good” (1 Peter 2:14), but how can they do that if no spokesmen from any of the world’s religions are allowed to give them counsel on what is “good” and what is “evil”? Such a viewpoint has to assume that there is no God, or if there is, his moral standards can’t be known. And by rejecting the idea of absolute moral standards that come from God, this viewpoint leads toward the moral disintegration of a society. We see the payoff of this view in the rampant moral relativism among today’s young adults who were taught as children in “exclude religion” schools, schools where “because God says so” could no longer be used as the strong foundation for moral conduct as it had been for the first 200 years of this nation. I was shocked, but not surprised, by the undercover videos released which suggest that Planned Parenthood is selling the body parts of aborted preborn humans. The reason I was not surprised is due to the realization that any organization which finds nothing morally wrong with the destruction of preborn humans will certainly not find anything morally wrong with selling the body parts of those preborn humans which they have destroyed. The science of embryology teaches that, from the earliest stage of development, each of us was a distinct, living, and whole human being. Philosophically there is no essential difference between the embryo you once were and the adult you are today that would justify killing you at that earlier stage. Differences of size, level of development, environment, and degree of dependency are not good, moral reasons for saying you could be killed then but not now. In light of the above case for the full humanity of the preborn, I request that you do what you can to support defunding Planned Parenthood and ending the scourge that abortion has been on our nation since the passage of Roe v. Wade. Since this decision, this nation, which touts its lack of discrimination against any class of human beings, has discriminated against the most vulnerable class of human beings by destroying roughly 57 million of its own preborn citizens. I thank you for your service to this nation and look forward to your response. Thank you for contacting me with your support for ending federal funding of Planned Parenthood. I appreciate your thoughts on this issue. By law, Planned Parenthood already segregates all federal funding that they receive, and does not use those funds for the provision of abortions in any state. I agree with my colleagues that the topic of abortion is a highly sensitive, emotional issue. Without a doubt, the legal status of abortion remains one of the most divisive and controversial issues facing our nation and one which I have given serious consideration. Thank you for taking the time to share your views with me. If I can be of any further assistance with this or any other matter, please do not hesitate to contact me. First, regarding my response to defund Planned Parenthood he stated that they segregate the federal funds they receive and thus, I assume, he will not support stripping them of federal funds. Senator Cardin misses the point that Planned Parenthood also tells us that they do not sell the body parts of the babies they abort or alter the abortion procedure accordingly; yet these videos suggest otherwise. Second, he addressed my request to support the end of abortion in our nation only by stating that abortion is a controversial issue which he has given much thought. No response of what the results of all his "serious consideration" are and no response to the case I made for the full humanity of the preborn was provided. He states that if he can be of any further assistance with this matter to contact him. I plan on following up with my thoughts above and request he respond to the pro-life case I have provided. Apologetics and clear thinking are useful in all spheres - including politics - and based on the response I received from Senator Cardin it does not appear that he is utilizing either of them. Our leaders answer to the people they represent. For this reason, I encourage you to contact them regularly. Feel free to provide your thoughts on my initial contact, Senator Cardin's response, and my follow up thoughts. To checkout our entire Counterpoints series, go here. To learn more about Jim's new book, see here. 1. The Colbert Report, Comedy Central, June 21, 2012 as quoted by J. Warner Wallace, God's Crime Scene, p. 212. 2. J. Warner Wallace, God's Crime Scene, p. 40. In this talk Greg Koukl discusses how to share your Christian convictions with others in a winsome and attractive manner. You can find the article Koukl references in the talk here. You can checkout Koukl's book Tactics, one of the most important books I've ever read, here. To learn more about Koukl and his ministry, go here. One of the things I appreciate about Michael Gleghorn's ministry is that he writes thoughtful articles about topics that are rarely discussed in many apologetics circles. A great example of this is Gleghorn's article on a form of energy medicine known as Reiki. I am planning on having a discussion with a co-worker in the near future on this topic and I found this article informative and well researched. Is there any scientific support for Reiki? Should a Christian be concerned with Reiki? Does all healing come from God? 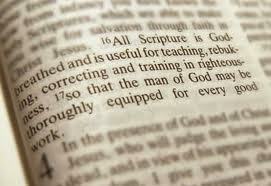 "The Bible reminds us to guard our doctrine and our conduct. Our youth know firsthand what the world has to offer. They need to be reached at a younger age because of the world of the Internet that ravages young minds sooner than ever before. Building their faith is not a prime strength in our churches today. We seem to think that we need to entertain them into the church. But what you win them with is often what you win them to. They can see through a hollow faith in a hurry. Their minds are hungry for coherence and meaning. They long to think things through. They long to know why the gospel is both true and exclusive. None of these issues are often addressed within their own reach. I believe this is the most serious crisis of our church-going youth today. Their faith is more a longing than a fulfillment. We have a special burden for the youth. We will keep at it as we try to reach them. It’s a tough world for the young." 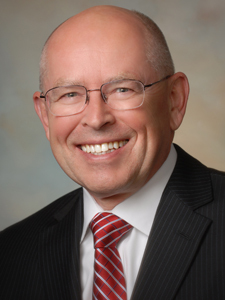 For the next several weeks on our website we will be featuring sections of a paper by Pastor Wayne Grudem entitled "Why Christians Should Influence Government for Good." He is the author of Politics According to the Bible. My goal is offer readers a resource that will help them to understand the relationship between God, the Government and the Gospel. This is the idea that civil government should compel people to support or follow a specific religion. 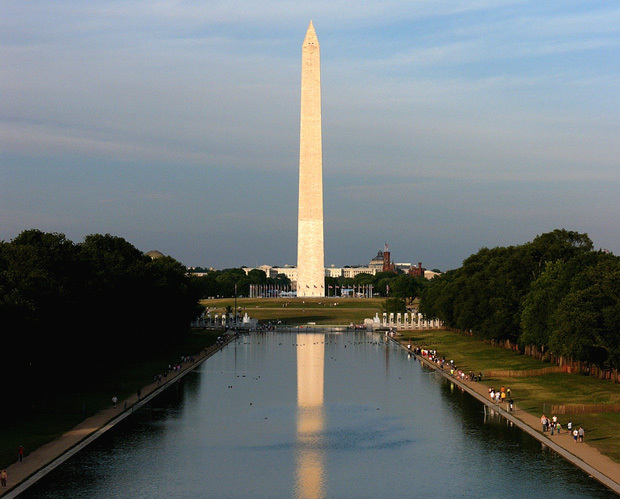 A view made popular by Pastor Gregory Boyd in his book The Myth of a Christian Nation. This is the view that we should just preach the gospel to change hearts and therefore society or that politics is merely a distraction. After explaining the liabilities of the above views, Grudem makes the biblical case that Christians should influence government for good. I know that my own view on this topic has been challenged and corrected in some areas through this work. I plan to make each post brief to make it helpful, but manageable. Please join me in exploring this most important issue so that we may continue to shine our light to a culture that desperately needs the gospel message of Jesus Christ. 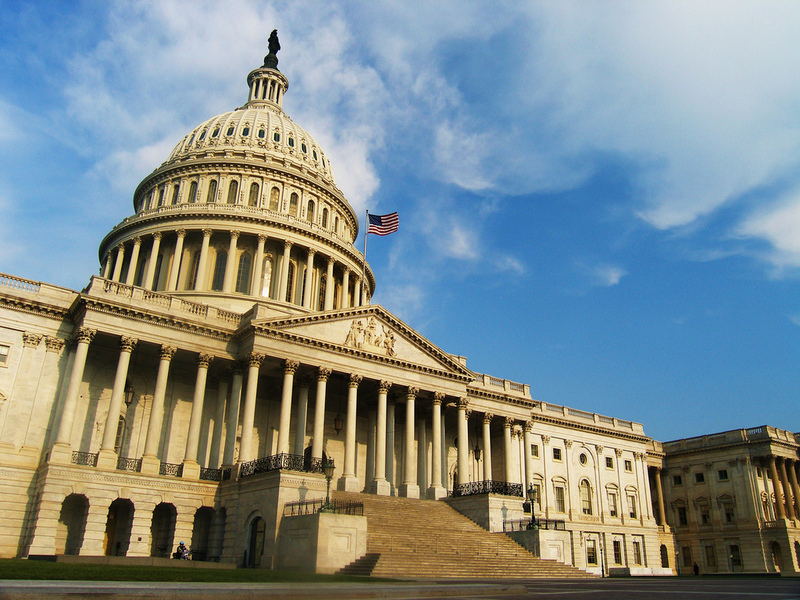 Should Christians try to influence laws and politics? Before explaining my own understanding of this question, I need to mention what I think are five wrong views. After that I will propose what I think is a better, more balanced solution. The first wrong view (according to my judgment) is the idea that civil government should compel people to support or follow one particular religion. Tragically, this “compel religion” view was held by many Christians in previous centuries. It played a large role in the Thirty Years’ War (1618–48) that began as a conflict between Protestants and Roman Catholics over control of various territories, especially in Germany. There were many other “wars of religion” in Europe, particularly between Catholics and Protestants, in the sixteenth and seventeenth centuries. Eventually more and more Christians realized that this position is inconsistent with the teachings of Jesus and inconsistent with the nature of faith itself. Today I am not aware of any major Christian group that holds to the view that government should try to compel people to follow the Christian faith. But other religions still promote government enforcement of their religion. This is seen in countries such as Saudi Arabia, which enforces laws compelling people to follow Islam and where those who fail to comply can face severe penalties from the religious police. The law prohibits public practice of any religion other than Islam and prohibits Saudis from converting to other religions. But it must be noted that other Muslims also favor democracy and allowing for varying degrees of freedom of religion. In the early years of the United States, support for freedom of religion in the American colonies increased because many of the colonists had fled from religious persecution in their home countries. For example, the New England Pilgrims had fled from England where they had faced fines and imprisonment for failing to attend services in the Church of England and for conducting their own church services. Several teachings of the Bible show that “government should compel religion” is an incorrect view, one that is contrary to the teachings of the Bible itself. Government should never try to compel any religion because, according to the Bible, genuine religious belief cannot be compelled by force. Jesus and the New Testament apostles always taught people and reasoned with them and then appealed to them to make a personal decision to follow Jesus as the true Messiah. Jesus invited people, “Come to me, all who labor and are heavy laden, and I will give you rest” (Mat 11:28; compare Acts 28:23; Rom. 10:9–10; Rev. 22:17). Anyone who has brought up children knows that not even parents can force children to believe in God. You can bring them to church and you can teach them the Bible, but each child must make a personal decision to trust in Jesus as his or her own Lord and Savior. Genuine faith cannot be forced. The answer is that those laws were only for the nation of Israel for that particular time. They were never imposed on any of the surrounding nations. Such Old Testament laws enforcing religion were never intended for people after Jesus came and established his “new covenant” (Heb. 8:8-9:28). Another biblical argument against the “compel religion” view comes from Jesus’ teachings bout God and Caesar. Jesus’ Jewish opponents were trying to trap him with the question, “Is it lawful to pay taxes to Caesar, or not?” (Matt. 22:18). Taking his opponents by surprise, Jesus said, “Show me the coin for the tax,” and “they brought him a denarius” (v. 19). Jesus said to them, “Whose likeness and inscription is this?” They said, “Caesar’s.” Then he said to them, “Therefore render to Caesar the things that are Caesar’s, and to God the things that are God’s” (Matt. 22:20–21). This is a remarkable statement because Jesus shows that there are to be two different spheres of influence, one for the government and one for the religious life of the people of God. Some things, such as taxes, belong to the civil government (“the things that are Caesar’s”), and this implies that the church should not try to control these things. On the other hand, some things belong to people’s religious life (“the things that are God’s”), and this implies that the civil government should not try to control those things. Jesus did not specify any list of things that belong to each category, but the mere distinction of these two categories had monumental significance for the history of the world. It signaled a different system from the nation of Israel in the Old Testament, where everybody in the nation was considered a part of the people of God and they all had to obey the religious laws. Therefore Christians in every nation should support freedom of religion and oppose any attempt by government to compel any single religion. In fact, complete freedom of religion should be the first principle advocated and defended by Christians who seek to influence government. 1. This booklet is adapted from Wayne Grudem, Politics – According to the Bible: A Comprehensive Resource for Understanding Modern Political Issues in Light of Scripture (Grand Rapids: Zondervan, 2010). , and is used by permission of Zondervan Publishing House. It may not be reproduced or distributed apart from express written consent from the publisher: contact Catherine Zappa (catherine.zappa@harpercollins.com) and explain that what you want to reproduce is a 9,400 word booklet condensed from the first two chapters of Politics According to the Bible and first published by Family Research Council in Washington, D.C., with the permission of Zondervan. Don’t take my word for it, read the article (and the book), don’t wait for the movie. What Do We Mean When We Say the Bible is "Self-Authenticating"? "Even though most Christians believe that the Bible is the inspired Word of God, very few can give an articulate answer for how Christians know this to be true. We believe it, but we are not sure why we believe it. This lecture was designed to explain one way (and, arguably, the primary way) that believers know that the Bible is God’s Word, namely from the attributes and characteristics present in the Bible itself. Put simply, I argue (along with many others throughout church history) that the Bible bears evidence within itself of its own divine origins. This is what we mean when we say that the Bible is self-authenticating. Such a claim raises a number of questions in people’s minds: What exactly are these attributes present in Scripture? If they are really there, then why don’t more people acknowledge them? Isn’t this sort of claim just a form of subjectivism? And, has anyone else in church history taken this approach? If you share these questions, then I encourage you to download my TGC lecture here. Update: And here is the handout: TGC Self Authenticating Handout." To learn more about the Gospel Coalition, you can visit their website here. But don't take my word for it, listen to the lecture...then read the book, don't wait for the movie. 1. As quoted by J. Warner Wallace, God's Crime Scene, p. 79. 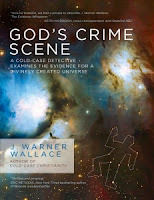 During a recent visit to the doctor's office, I thought it would be a good idea to bring my recent purchase, God's Crime Scene by J. Warner Wallace, with me since one never knows how long the wait will be. When the doctor walked in, I quickly put down my book on the counter next to me so I could give my attention to the examination. But I noticed the he quickly glanced at what I was reading and it immediately sparked the question "So what are you reading?" I then began to explain how the book is written by a cold case detective who uses the same approach of examining evidence for a case as he does when looking at the evidence for a divine being. I mentioned this was his second book as the first one was entitled Cold Case Christianity and focused on the reliability of the books written in the New Testament. The doctor then asked me, "Are you a policeman?" I chuckled and said "No, but I like to read/study this type of information so I can give people a reasonable explanation why I believe what I believe." This all happened in a matter of 1-2 minutes. I may not have offered the most graceful of explanations, but I think it was effective. At the end of my visit, the doctor thanked me for sharing about the book and said "I'll have to check into that." I walked out of the office with a grin and thought that was probably one of my most productive doctor visits ever! I don't know if the doctor will actually check out what I was reading, but my prayer is that the seed that was planted will be indeed be watered! In his fictional book, The Great Divorce, C.S. Lewis tells the story of a man who, through a dream, took a journey to heaven and hell. One of the man's experiences was an encounter with the Scotsman George MacDonald, now a citizen of heaven, whom he calls "My Teacher." MacDonald recounts to the man the seemingly strange story of Sir Archibald,1 who in his earthly life had been interested in nothing but Survival. He'd written books, conducted experiments and given lectures on the subject, and it eventually became his only occupation. He was so obsessed with the subject that, at the end of his life, he had no interest in heaven. Everyone there had already survived, so his occupation was gone. MacDonald observes that if Sir Archibald "would only have admitted that he'd mistaken the means for the end and had a good laugh at himself he could have begun all over again like a little child and entered into joy," but he cared nothing about joy and in the end went away. "Do ye think so?" said the Teacher with a piercing glance. "It is nearer to such as you than ye think. There have been men before now who got so interested in proving the existence of God that they came to care nothing for God Himself ... as if the good Lord had nothing to do but exist! There have been some who were so occupied in spreading Christianity that they never gave a thought to Christ. Man! Ye see it in smaller matters. Did ye never know a lover of books that with all his first editions and signed copies had lost the power to read them? Or an organiser of charities that had lost all love for the poor? It is the subtlest of all the snares." Lewis understood that it is all too easy for people to become so occupied with something they are doing that they mistake the means for the end, and, as a result, miss out on what's really important. Are there areas in your life where that might be happening? © 2015 C.S. Lewis Institute. "Reflections" is published monthly by the C.S. Lewis Institute. To go to the "C.S. Lewis Institute" website, please click here. This video features a talk given by Dr. William Lane Craig in a Texas bar on the resurrection of Jesus. It was hosted by the Bible and Beer Consortium. To learn more about them and their mission, go here. 1. People who don't believe in God couldn't give a rip whether we religious believers are inconvienenced in our religious practice. 2. We are asking our fellow citizens to give up something they value, without offering anything they value in its place. 3. We sound like we are whining about ourselves. No one finds whining appealing. You can read about these reasons in further detail, and the strategy of argumentation Roeback offers in place of religious liberty, here. In this video, you get an up-close look at the important work that Life Training Institute speakers are doing across this nation. With the help of a generous grant, their renowned speaking team is bringing the Case for Life to students in schools, to youth groups, Christian college chapels, worship services, retreats, banquets, debates, etc. They are available to train your group to make a persuasive case for life in the marketplace of ideas. You can contact them at 719-264-7861 or at their website here. I also highly recommend their free training materials here.